You may not have a book out, but if you have expressed on Twitter or Facebook your hope to be a published author, you have indeed begun a social media campaign. People are already reading your words on these sites and forming an impression, so it makes sense to think about what your readers want from you. 1. I want to be entertained. It stands to reason that authors, due to their daily manipulation of language, have a greater command of it. Add to that a flair for comparison, an affinity for odd characters, a love of whimsical description, and the ability to thread an arrow through the very essence of story, and you have all the makings of an entertaining post. Fiction readers do not want to be told what to think. They want to be challenged to think. For this reason, lovers of story will rarely be swayed by an in-your-face political rant. They will simply agree or dismiss. If they dismiss, you’ve lost access to one of the most powerful roles a storyteller can play in our society: that of the sage who uses story to open the reader’s eyes to a different point of view. In the fiction I love, I value the way an author will orchestrate a character set to examine a problem from all sides, the way John Irving did so brilliantly concerning abortion in The Cider House Rules. But in order to influence a reader, you have to get her to open your book. She might not if your frequent Facebook rants lead her to suspect that you are likely to preach. Instead, why not raise a question and get people talking about the issue? Did you see this video about the emotional reunion between the man and his partner’s arrival home from the Middle East? It really tugged at my heart. How about you? Many authors are drawn to odd jobs and odder experiences. Curiosity compels them to observe and investigate. They notice the lone dandelion pushing its way up through the sidewalk and see a story of triumph. From the things they’ll eat to the places they go to the ways they get there, an author’s life isn’t all about the word count. I want access to what their keen sensibilities can provide. I want to make sure I don’t miss out on new books and important career milestones. Hope is crucial to survival, and wordsmiths are in the position to lead readers to it even in the most difficult times. A few short phrases evoking ordeals from around the world will remind you of this fact: The Book Thief. Bel Canto. The Life of Pi. Les Miserables. I’m not quite sure why writers think it’s a good idea to use social media to vent about the industry that they hope will one day support them, but it goes against your social media campaign goals: you don’t want to turn your readers off to the book world! If you stoke your negativity with the full power of your word magic, you will pull your readers right down the rabbit hole after you, where you’ll all be miserable. Instead, why not identify your fears more honestly and relatably, as Dani Shapiro did in her recent post, On Vulnerability (it’s well worth a read). Knowing that the authors whose works you idolize are human, too, is actually a source of great hope. “Published author” is an honorific, bestowed by our culture because of your sensitivity, your keen eye, and dedication to artful communication through story. Social media is your chance to give your readers more of that—and with each bite-sized post, you are building the public persona that will earn you readers and carry your career as an author. The next time you enter a public forum, think before you type: what is it you really want to say? What do you want to see more or less of on social media? Do you love or hate “being online?” Which social media platform is your favorite, and why? 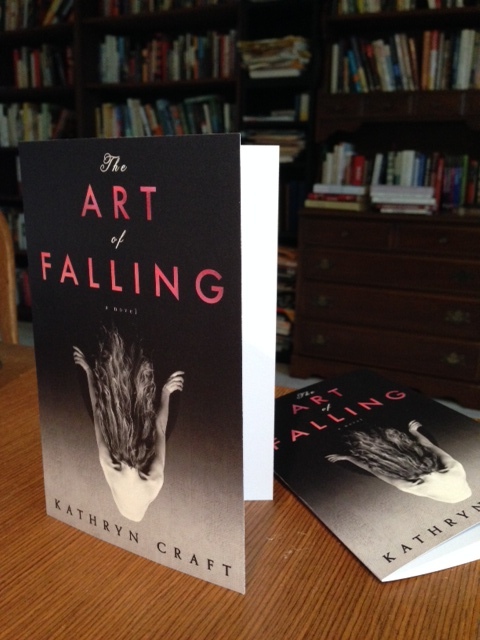 Kathryn Craft’s debut novel, The Art of Falling, will be released through Sourcebooks 0n January 28. To read more about her book, check out her author site, KathrynCraft.com. Pre-order links are live at bn.com and amazon.com! Her second novel, While the Leaves Stood Still, is due from Sourcebooks in Spring 2015. Kathryn Craft is a developmental editor at Writing-Partner.com. 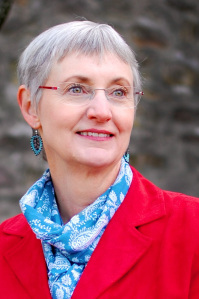 Long a leader in the southeastern Pennsylvania literary scene, she loves anything that brings writers together—conferences, workshops, retreats, and blogs like Writers in the Storm. She also blogs at The Blood-Red Pencil and at her personal blogs, The Fine Art of Visiting and Healing Through Writing. Connect with Kathryn on Facebook and Twitter. This entry was posted in Bumps & Bruises on the Road to Publication, Kathryn Craft and tagged author platform, readers and authors, Social Media, Writers in the Storm. Bookmark the permalink. She says with a note of confidence in her voice. GLURG! Why does confidence fail us on January 2nd? Luckily these are tips you can return to in order to focus your posting efforts! Happy New Year, Gloria! Thanks Florence. Much writing success—personal and social—to you in the New Year! This post was so eloquently put, I just want to hug it. Thank you. Ah, but Kathy…this comment was so eloquently put, it made me want to hug YOU. HUGS ALL AROUND!! Thank you Kathy—it actually took me two days to write/rewrite/rewrite this. Sometimes, when addressing whining, it’s hard not to whine about it! But the struggle to reframe something in a positive light is always worth the effort. It makes life better. I too recently started a new blog that is primarily about ME as a person. I decided that as an author, the best way for me to connect with my readers is through stories, after all, isn’t that what novelists are all about? Don’t we tell stories? I have to continually remind myself, that all of my writing is so that I can connect with people, not simply to sell my books. Recently I had a review where a reader said that I didn’t just write, I spoke to the reader. I felt so humbled by that statement. Your article has given me a lot to think about. Thank you for inspiring me in my own future blog posts. Great list, Kathryn. Posts that are all about writing ‘the book’, promoting ‘the book’, selling ‘the book’, can be tiresome, but when a writer’s life is all about ‘the book’, it’s easy to see how a writer might forget to step outside ‘the book’. Love this: “Wordsmiths are in the position to lead readers to [hope] even in the most difficult times.” If you don’t mind, think I’ll print and post that wisdom above my desk. What a happy thought, that I will be part of your desktop inspiration! Thank you, Sherry! You’re welcome, Cygnet. I too have a personal story-type blog, too infrequently updated, but I don’t have the time for a major blog and all that entails. I made peace some time ago with the fact that it was an intimate effort meant to give interested friends and readers a look at my thought process. Here’s the real deal on why novelists need a platform, Yah’ll. (I’m in the South for a much-needed rest. When in Rome…) ENJOY! Kathryn, a great list for writers to keep by the keyboard! A quick guide to keep you on target when you are creating your brand in the social media realm. Another area I look for from my authors is humor – especially those who can poke fun at themselves. (I guess this would fall under entertain). We certainly could all use some laughs every day in our life! Of course some of us are better at humor than others, Donna—some of us just come off sounding snarky—but if you can do it well, you’re right, go for it! Very well said, Kathryn. The value of social media is unquestionable, your list of five things readers want provides clear guidance on how to use it effectively. I’ll be referring back as I amp things up in the new year and launch my website. Glad it helped focus your efforts, Hilary! Thanks Jacquie—that’s how my sister spells her name as well. You have a vote blog design! I’ve built up my web/blog for six months now. Time to start with Twitter. Thank you! Twitter: same advice, but in 140 words or less, lol! It’s a good idea to think about how each piece of your platform adds to the package. Your tweets don’t have to be the same as your Facebook posts, for instance—you can FB about writing and tweet about research related to your novel’s theme, for instance. Thank you for this insightful article, Kathryn. I do think those are two great takeaways, Leanne. We want our platforms to appeal to our readers and feed their love for books, after all. A very timely and interesting article. I will definitely think on it. Great blog & good timing for me! Thanks for sharing (I’ll do the same). Valid point about agreeing or dismissing, dont forget to keep it short and sweet in the age where internet scrolling is abundant readers are willing to move on before the browser even loads. GREAT POINT, Jaq—they want all that AND in a short post! Thanks for your comments everyone, they are truly appreciated at this crazy time of year, which has my responses suffering from Christmas interruptus. A Happy New Year to you all! Reblogged this on Jeyne Cofield. This post really struck a chord with me. It outlines exactly the type of author I want to be as I interact on social media with the real people who tune into what I have to share. Thanks so much – I think I’ve found my 2014 list of resolutions. Because sharing is a high form of praise – I’ve just posted a link to my author page and I think I’ll put it up to a couple of other Facebook groups I like to frequent. Thanks so much, Jeyne and Jodie. And Francis, I’m so glad it resonated with you. If they reinvigorate to your social media communications, all the better! Happy New Year! This was a great article to read, and just makes me realise how I must ensure that I keep a well rounded internet presence, and not just keep Facebooking all the time! Thanks for the reminder. In fact, I just used this article to link into my latest blog post, hope you don’t mind! Hey Michelle, I’m glad it helped spawn a post for you—good one! I appreciate the attribution and the link back to WITS. Thanks! Great post! I’m not (yet) published, but reading this post is very helpful still. I am trying to develop an “audience” through various media (my blog, Twitter, Facebook, etc.) that will (hopefully) buy my books. My blog is where I do most of my interacting with others. I enjoy Twitter, but I’m not on it regularly so having Twitter conversations is sometimes awkward since I will “disappear” for hours as a time. Still, I’m learning. Marie, if you are blogging and using social media then you are indeed already building a readership. As for Twitter, I don’t know what everyone else thinks, but when I consider following someone I just check to see if they’ve tweeted in the past month. People go on vacations or write on deadline for their next book—there are all sorts of reasons people might “disappear” for weeks at a time, let alone hours. I wouldn’t worry about that too much now. If you have Twitter in place, and visit at least once or twice a week, you can always ramp up involvement in the year before your launch. Very thoughtful post on what readers want. I think this is wonderful advice. I recently stopped looking at one author’s FB posts because she has so many photos of abused animals. I agree this is an important issue, but since I don’t live in the same country, so to speak, it just disturbs and depresses me. Hi Ella, thanks for the re-blog! And I know what you mean—it is your prerogative to use your social platform however you see fit, but if you are an author, I’m not sure it behooves you to alienate potential readers! I’m not sure it’s good business either. Thanks for the re-blogs, Jeyne, Kate and Karen! Great post! I don’t do nearly enough on social media. Facebook mostly, and a little Twitter. I never know what to say on Twitter. But I’ll certainly take this post to heart!